IDCOL arranged a fair about Green Energy in Hotel Sonargaon from 6 to 7th November 2014. 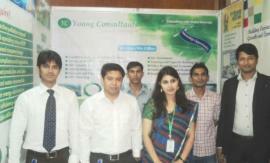 Young Consultants participated in the fair organized by IDCOL. © 2014 Young Consultants. All Rights Reserved.